Sometimes it really doesn't pay to be a cheapskate. 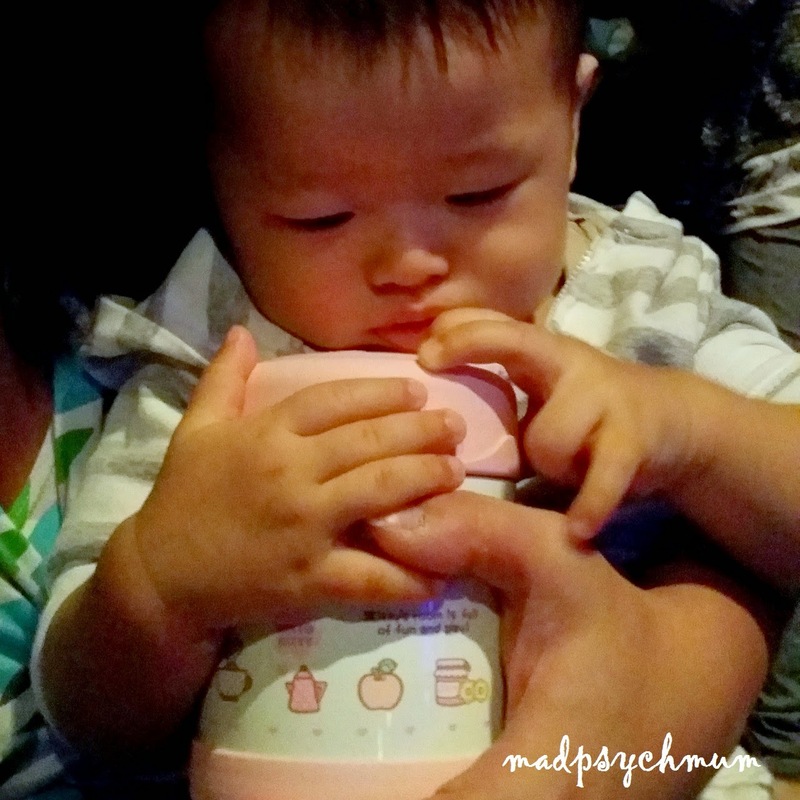 When my girl started eating solids more than 4 years old, we needed a container to bring her porridge with us when we went out. The container needs to be light and able to retain the heat of the porridge. 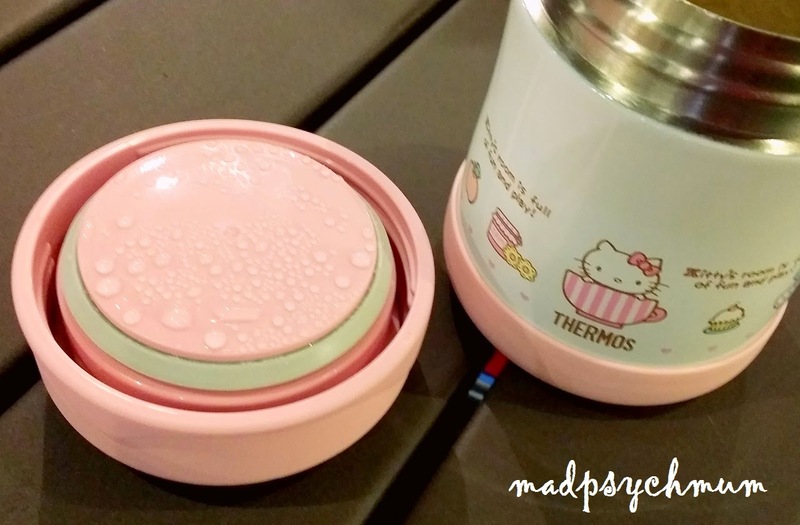 Although I liked the super cute Thermos Food Jars, I thought it was too expensive. Thinking that all food containers are created equal (and therefore I could save a buck), we decided to buy the much cheaper version at $10 only. To our dismay, the cheap version could not retain the heat of the food for more than 2 hours (not surprisingly). 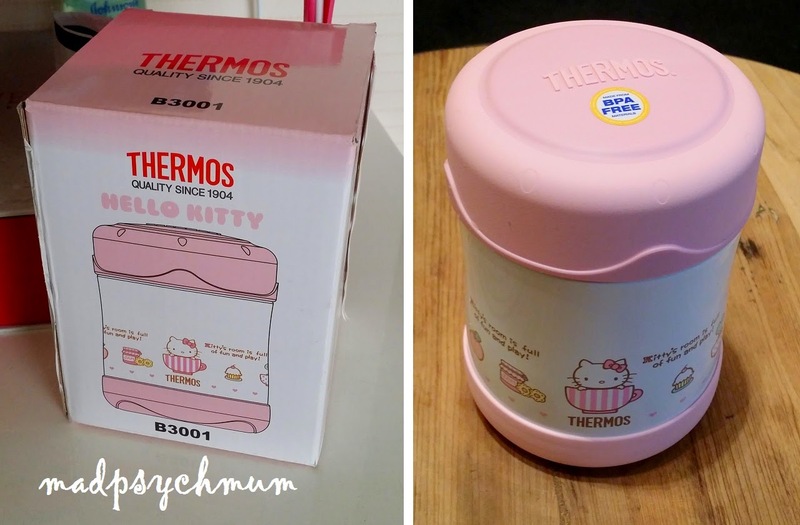 Eventually we relented and bought the Thermos Food Jar, which lucky for us was on discount at Isetan (cost us only $29.90 instead of the usual $49.90). What a difference a quality food jar makes! We brought it with us everywhere and it has kept the baby food warm for up to 8 hours. I truly regretted not buying one earlier! Of course when we had Baby Boy, we knew we had to get the same for him. 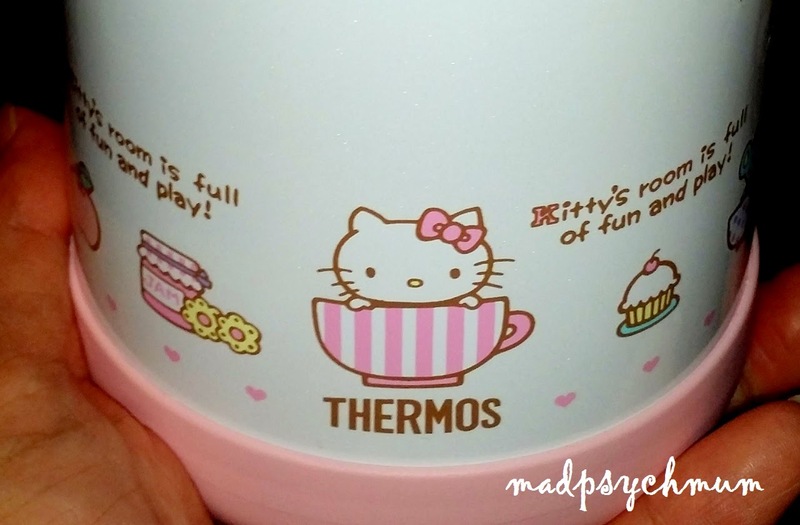 Coincidentally, Thermos Singapore kindly offered to send me one and I love it! The vacuum insulation and stainless steel interior and exterior of the food jar retains the heat of the food for a longer time. The jar is also leak-proof so you don't have to worry that your food will spill out (that happened to me before with lousy containers and it was really very inconvenient). The tip to ensuring that the heat gets retained to the maximum number of hours is to put pipping hot porridge immediately into the container after it is cooked (don't worry, it can withstand the heat as it is quite hardy). Then you can be sure that the food is still hot even after 8-10 hours (tried and tested)! Of course if you are only going to feed your baby 2 hours later then don't put the food in when it's piping hot because it will be too hot for your baby when he/she needs to eat it later. 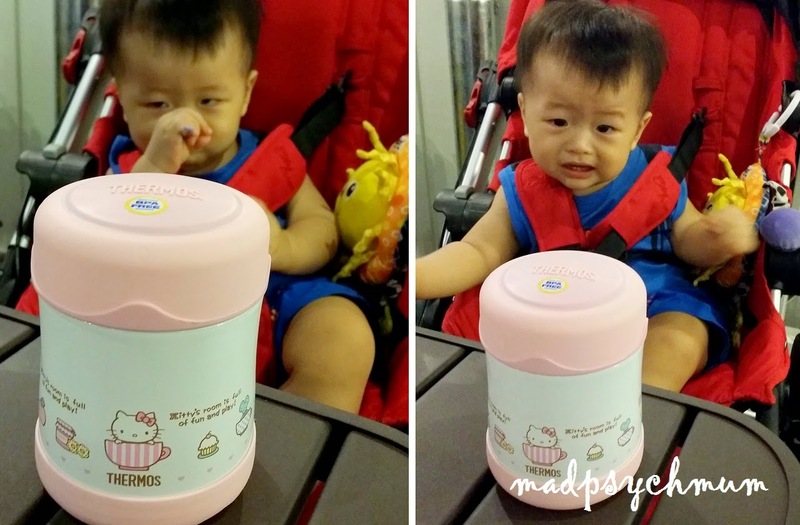 You'll end up blowing on the porridge while your hungry baby screams for food (true story). 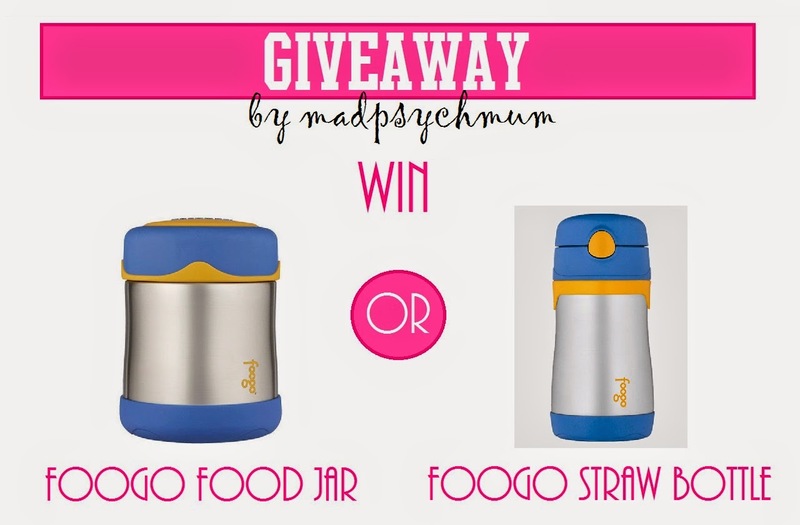 We are giving away 1 Thermos Foogo Food Jar to ONE lucky winner and 1 Thermos Foogo Straw Bottle to another ONE lucky winner (2 winners in total)! a) This giveaway ends on 30th January 2015 (Friday) and is only open to readers living in Singapore. e) The winner/s will have to collect their prize at Thermos Singapore’s head office at 16 Arumugam Road. Prizes that are not collected in a month will be given to the next randomly drawn winner. 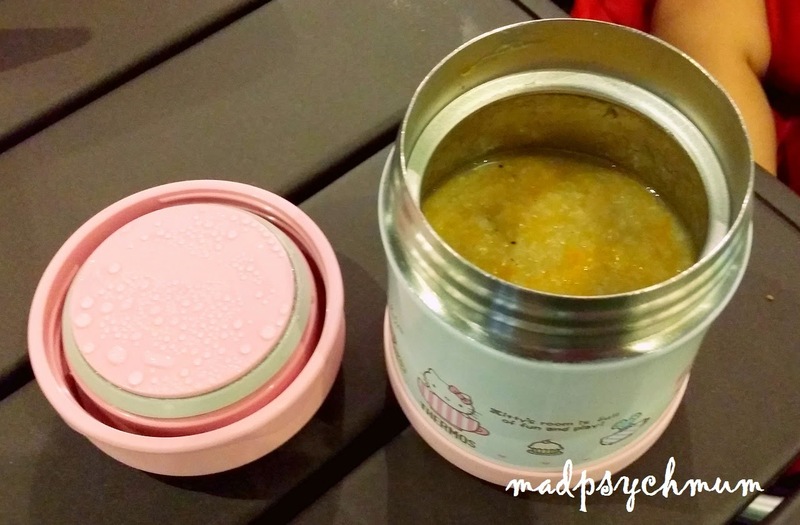 Disclosure: Complimentary food jar was received from Thermos Singapore for the purposes of this review and giveaway. No monetary compensation was received; all opinions are my own.